Research carried out by software company Intelligent Environments found that 79% of 2000 consumers questioned were prepared to replace passwords with biometric security. The increasing use of mobile banking apps and the deluge of apps requiring passwords makes biometric security attractive. The survey found that 52% of consumers would like banks to integrate fingerprint scanners into digital banking apps. This was the most popular followed by Iris scanners (33%), facial recognition (30%), electrocardiogram heartbeat monitors (29%) and voice verification (27%). Apple’s iPhone 5S features a 500ppi fingerprint sensor in the home button of the device, which scans sub-epidermal skin layers. “iPhone 5s sales have helped contribute to a major shift in consumer attitude toward biometrics, as consumers become used to its intuitive Touch ID fingerprint scanner, which is predicted to be incorporated into iPads shortly,” said Intelligent Environments. “Banks like Barclays are already looking at the future of passwords. Other UK banks need to start looking at how they can satisfy the rapidly escalating customer demand for biometrics by looking at implementing a range of options that best suit their customers’ needs,” said Clayton Locke, CTO at Intelligent Environments. Forrester Research recently said that by 2016 the number of people using tablets to bank will exceed those using mobiles. The report covered the UK, France, Germany, Italy, the Netherlands, Spain and Sweden. The analyst company’s digital banking forecast for 2014 to 2018 said European mobile banking will increase from 42 million users in 2013 to 99 million in 2018. Meanwhile tablet banking will grow from 19 million users in 2013 to 115 million in 2018. It said increasing tablet ownership, more tablet banking apps, and fewer security fears among tablet users versus mobile users, are key drivers. 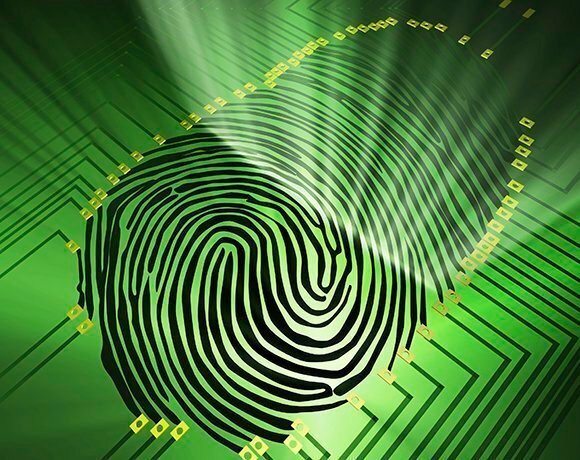 A recent study showed that 89% of citizens are willing to provide biometric details such as fingerprints. The survey of people in the UK, Australia, France, Germany, Japan and the US was carried out by Accenture. More than half (62%) of citizens in the six countries said they were willing to share biometric information to make their country’s borders more secure; 58% said they would give details if it sped up customs and border control processing and 56% would do so if it made travel more convenient. UK citizens were the most willing of the six nationalities in every category, at 69%, 64% and 62% respectively.